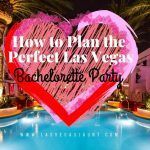 So you planned a trip to Las Vegas but didn’t arrange for transportation once you arrived? Don’t fret. Las Vegas’ public transportation system makes getting around the city a cinch. While Sin City may not have a subway, it more than makes up for this by offering convenient taxis, affordable buses, pedestrian-friendly streets, and a monorail. It may be tempting to pick up a rental car after flying into McCarran Airport. The truth is, you won’t need it to get around the Strip and Downtown. For quick and simple transportation, nothing beats a Las Vegas cab ride. Virtually every resort hotel in the city has a taxi stand operating 24 hours. This designated area is the only place taxi drivers can pick up or drop off on the Strip. If you’re hoping to get dropped off somewhere right on Las Vegas Boulevard, forget it. Theses stands were created to reduce congestion on the already-busy Strip. However, you can pretty much get dropped off anywhere you want if you’re headed to other spots in the Valley. Taxi stands, which are located at a hotel’s main entrance near the valet, usually have short waits. However, lines can build up on evenings and weekends. Don’t worry, they move fast. If you feel like being social, you can even share a cab with some fellow travelers. This is a great way to reduce Las Vegas taxi fare, which starts at $3.30 just to get in the car. From there, the price is $.20 every 1/13 mile ($2.60 a mile). Expect surcharges for a ride to or from the airport ($1.80) and if you use a debit or credit card to pay ($3). If you’d prefer to pay less, and you have a little flexibility in your schedule, the Las Vegas bus system is a great option. Downtown and the Strip are ruled by the Deuce and SDX buses, which offer the most economical way to get around the Vegas hotspots. These buses are very safe and popular with tourists. If your bus fills up, you can expect another to show up in about 15 minutes. All-access passes are $6 for two hours, $8 for 24 hours, and $20 for three days. With its red, double-decker facade, you can’t miss the ubiquitous Deuce buses traveling Las Vegas Boulevard. 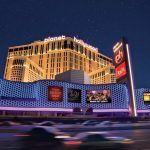 This 24-hour bus runs from the South Strip Transfer Center north to the Fremont Street Experience. The Deuce stops at most major Strip hotels. Just be sure to pay attention to the route schedule and know if you’re getting on a southbound or northbound. The SDX (Strip & Downtown Express) bus runs essentially the same route as the Deuce but makes fewer stops. This is the bus to take if you want a quicker ride to or from Downtown. These buses run from 9 a.m. to midnight and have a sleek, train-like exterior. 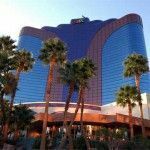 One of the fastest and most convenient ways to travel the Strip is to take the Las Vegas Monorail. 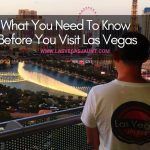 This transit system stretches 4 miles along the east side of Las Vegas Boulevard from the MGM Grand north to the SLS Las Vegas at Sahara Avenue. The train, which reaches speeds of up to 50 mph, makes seven stops, including one at the Las Vegas Convention Center. Not surprisingly, it is quite popular when major trade shows are in town. Las Vegas Monorail prices start at $5 for a single ride. An unlimited 24-hour pass is $12. Multi-day travelers can save more by opting for the two-, three-, four-, five-, six-, and even seven-day passes. One Day Pass : Reg. $12 ⇒ $10.80 ! Two Day Pass : Reg.$22 ⇒ $19.80 ! Three Day Pass : Reg.$28 ⇒ $25.20 ! Four Day Pass : Reg.$36 ⇒ $32.40 ! Five Day Pass : Reg.$43 ⇒ $38.70 ! Six Day Pass : Reg.$56 ⇒ $50.40 ! 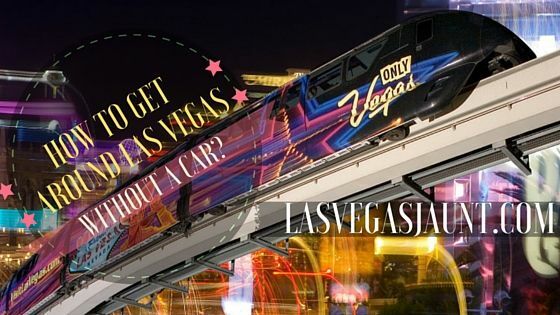 This free monorail links the Mandalay Bay, the Excalibur and the Luxor with a stop at each of them. There is also an express tram that doesn’t stop at the Luxor. 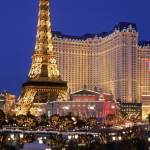 This one is also known as the “Aria express” and has 3 stations : 1 between the Aria and the Monte-Carlo, another one at the Crystal shopping mall and the third one between the Vdara and the Bellagio. This free tram takes you from the Mirage to the Treasure Island. Of course, the best mode of transportation will depend on your needs, location, and budget. Those with deeper pockets can enjoy the convenience of local taxis. Visitors staying on the east side of the Strip have much closer access to the monorail. And if you’re really light on cash, most of Las Vegas Boulevard is very walkable. Just be aware that the areas just off the Strip and Fremont Street can get sketchy at night. 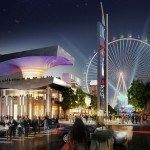 What do you think is the best way to get around Las Vegas without a car? I will be in Las Vegas in July 2018 and am looking for the best way to get around while there. I want to use public transportation as much as I can. I will be in Las Vegas October 2018 and I am looking for the best way to get around there. I would like to use public transportation as much as I can.